September 19-20, 2019 Washington, D.C. 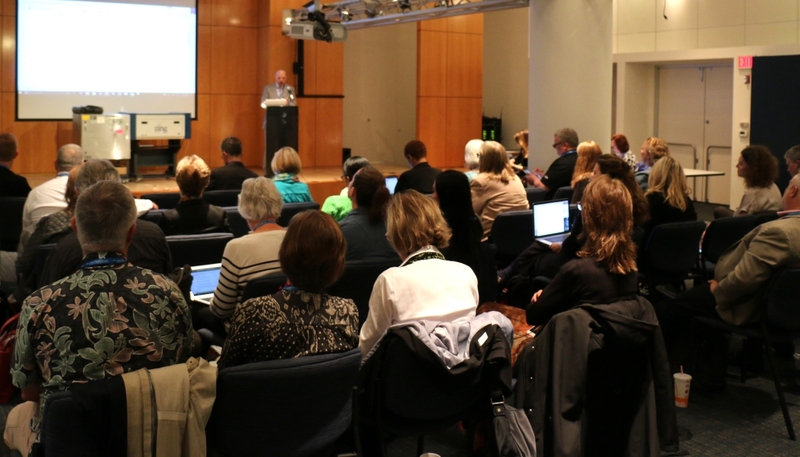 The National Technology Leadership Summit (NTLS) brings together national leaders from educational associations, as well as editors of educational technology journals, directors of non-profit foundations, federal policy makers, and corporate representatives. 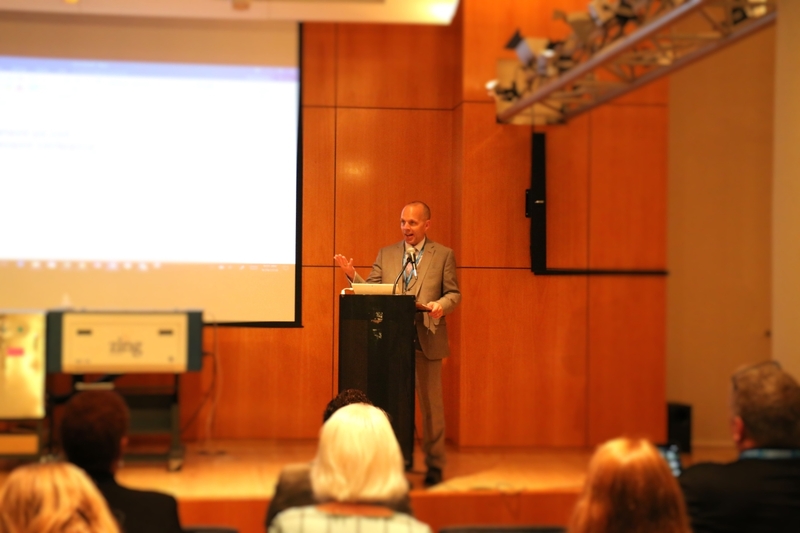 Recommendations and guidelines emerging from the summit are published in a range of educational technology journals and are featured on the programs of educational conferences. The goal is to accelerate the meaningful impact of digital technologies in education for the 21st century. For a ‘full view’ of NTLS, click here to see a few 360-degree photos of the event (courtesy of Jon Clausen). The upcoming National Technology Leadership Summit (NTLS 2018) will be hosted at the American Association of Colleges of Teacher Education (AACTE) at their headquarters, located at 1307 New York Avenue in Washington, D.C.
rporate partners, and non-profit foundations. Special thanks for support of this year’s leadership summit by the local host, AACTE and the AACTE Committee on Innovation and Technology. On March 3, 2017 at the AACTE National Conference in Tampa, FL. 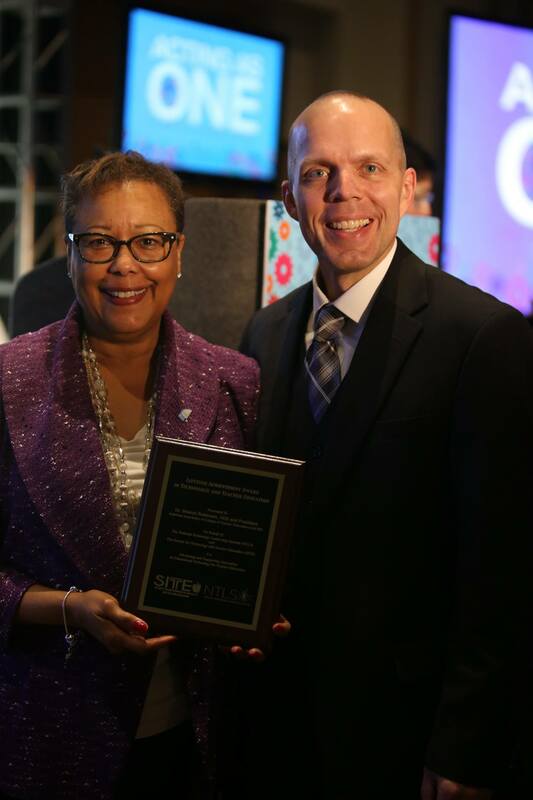 David Slykhuis presented Dr. Sharon Robinson with a Lifetime Achievement Award for her work supporting the advancement of educational technology in teacher education on behalf of the National Technology Leadership Summit and the Society for Information Technology and Teacher Education.